One of the most influential American novels of the 20th century and biggest bestsellers of all time, To Kill a Mockingbird was believed to be the first and only novel by Nelle Harper Lee (born April 28, 1926), until now. On July 14, HarperCollins will release Lee’s earliest known work, Go Set a Watchman, featuring characters from her Pulitzer Prize-winning novel, which was published 55 years ago (July 11, 1960). 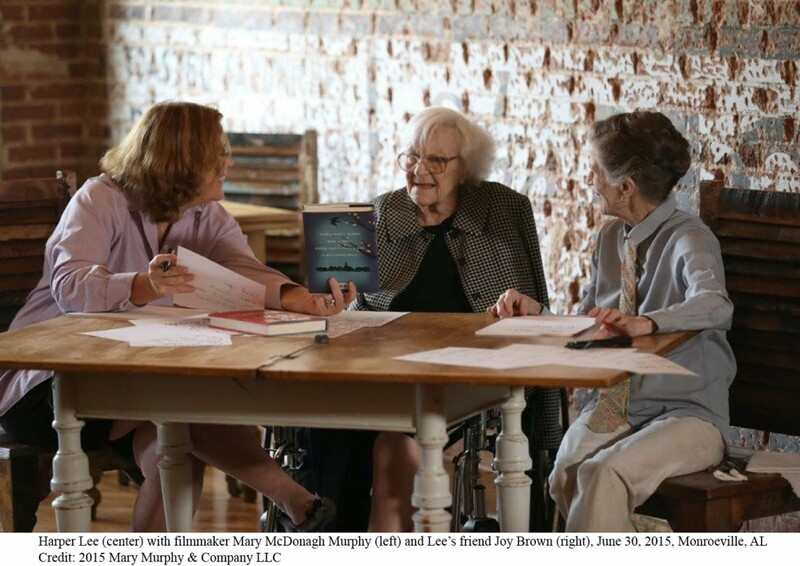 In honor of this landmark literary event, THIRTEEN’s American Masters series presents a newly updated version of Emmy®-winning filmmaker Mary McDonagh Murphy’s 2012 documentary Harper Lee: Hey, Boo, broadcast as Harper Lee: American Masters on Friday, July 10, 9 – 10:30 p.m. on PBS (check local listings). The author of Scout, Atticus & Boo: A Celebration of To Kill a Mockingbird, Murphy was able to read an advance copy of the new novel before updating the film and will live tweet (#HarperLeePBS) during the broadcast. Lee once said she wanted to be South Alabama’s Jane Austen, but became an enigma when she stopped speaking to press in 1964 after her whirlwind success. Harper Lee: American Masters offers an unprecedented look at Lee’s life, illuminates the phenomenon behind To Kill a Mockingbird and the Oscar®-winning 1962 film adaptation, and previews Go Set a Watchman, which Lee wrote in 1957. The documentary features interviews with Lee’s friends and family — including her centenarian sister Alice (now deceased) — who share intimate recollections, anecdotes and biographical details for the first time: Lee’s rise from small-town Alabama girl to famous author, her tumultuous friendship with Truman Capote, and the origin of her most memorable characters: Atticus Finch, his daughter Scout, her friend Dill, and Boo Radley. Launched in 1986, American Masters has earned 28 Emmy Awards – including 10 for Outstanding Non-Fiction Series since 1999 and five for Outstanding Non-Fiction Special — 12 Peabodys, an Oscar, three Grammys, two Producers Guild Awards and many other honors. Now in its 29th season on PBS, the series is also seen on the WORLD channel. To take American Masters beyond the television broadcast and further explore the themes, stories and personalities of masters past and present, the series’ companion website (http://pbs.org/americanmasters) offers streaming video of select films, interviews, photos, outtakes, essays and more. As New York’s flagship public media provider and the parent company of THIRTEEN and WLIW21 and operator of NJTV, WNET brings quality arts, education and public affairs programming to more than 5 million viewers each week. WNET produces and presents such acclaimed PBS series as Nature, Great Performances, American Masters, PBS NewsHour Weekend, Charlie Rose and a range of documentaries, children’s programs, and local news and cultural offerings available on air and online. Pioneers in educational programming, WNET has created such groundbreaking series as Get the Math, Oh Noah! and Cyberchase and provides tools for educators that bring compelling content to life in the classroom and at home. WNET highlights the tri-state’s unique culture and diverse communities through NYC-ARTS, Reel 13, NJTV News with Mary Alice Williams andMetroFocus, the multi-platform news magazine focusing on the New York region. WNET is also a leader in connecting with viewers on emerging platforms, including theTHIRTEEN Explore App where users can stream PBS content for free.